This morning I virtually dropped into my friend Eric Cole's workshop on Google+. Eric was demonstrating Google+ Hangouts to teachers in his school and I was happy to say hello and share some ideas for using Google+ Hangouts in education. The first example that I shared was Kern Kelley and his students in Newport, Maine producing the Tech Sherpas show. Every week during the school year Kern and his students host a Google+ Hangout on Air in which they share technology tips for teachers and students. One of their recent episodes was all about forwarding domains. Jenn Scheffer and her students at Burlington High School in Massachusetts produce a Google+ Hangout on Air show that is similar in nature to that of Tech Sherpas. The BHS show is slightly different in that they will interview people on the show. I have been on twice to talk about blogging. Jenn outlined the process of producing the show in this guest post last month. Connected Classrooms is a program sponsored by Google for the purpose of bringing experts into classrooms through Google+ Hangouts. Connected Classrooms uses Google+ Hangouts On Air to take students on virtual field trips to museums and zoos. In these Google+ Hangouts On Air students may have the opportunity to ask questions of the museum and zoo experts that are leading the virtual field trips. You can find a complete schedule of virtual field trips on the Connected Classrooms website. 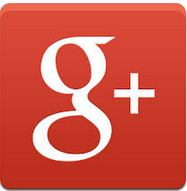 Google+ Hangouts can be useful for hosting peer editing sessions and peer tutoring sessions. In a Google+ Hangout you can pull in a Google Document, Presentation, or Spreadsheet to have a conversation about the content within it.